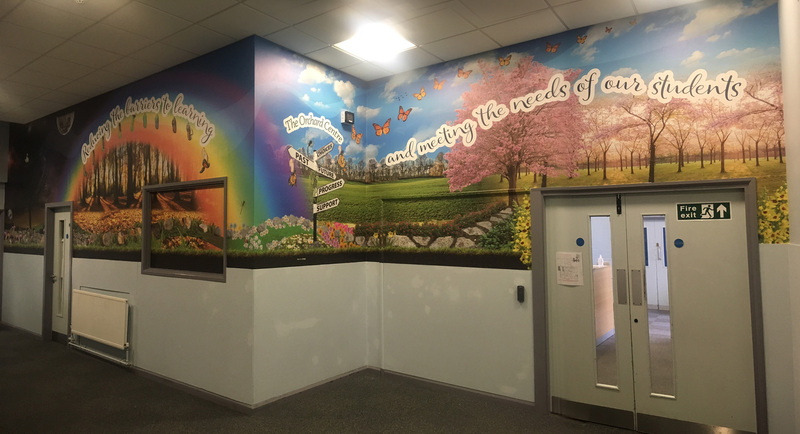 The brief: To transform the central thoroughfare of the school into a permanent display. 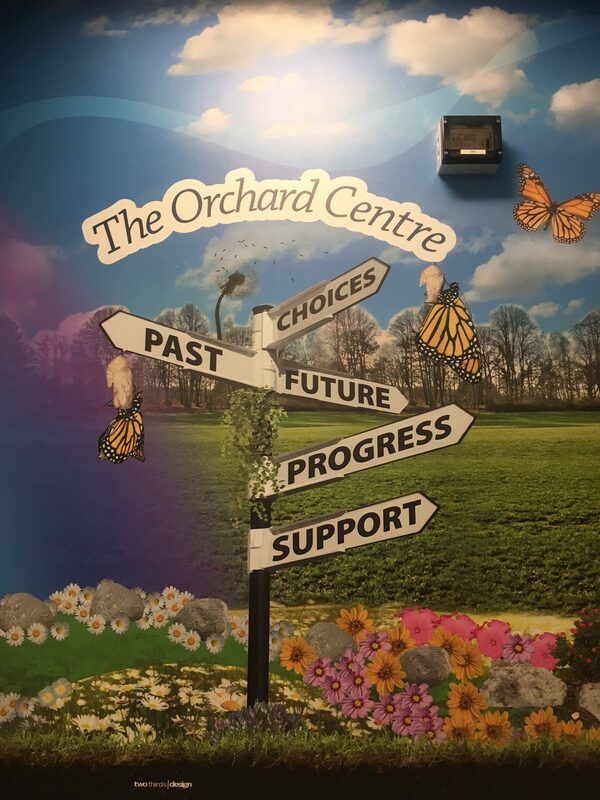 The process: Two Thirds Design were invited to Orchard PRU to produce concepts through to finished designs on the theme of mental health – the journey to mental wellness. 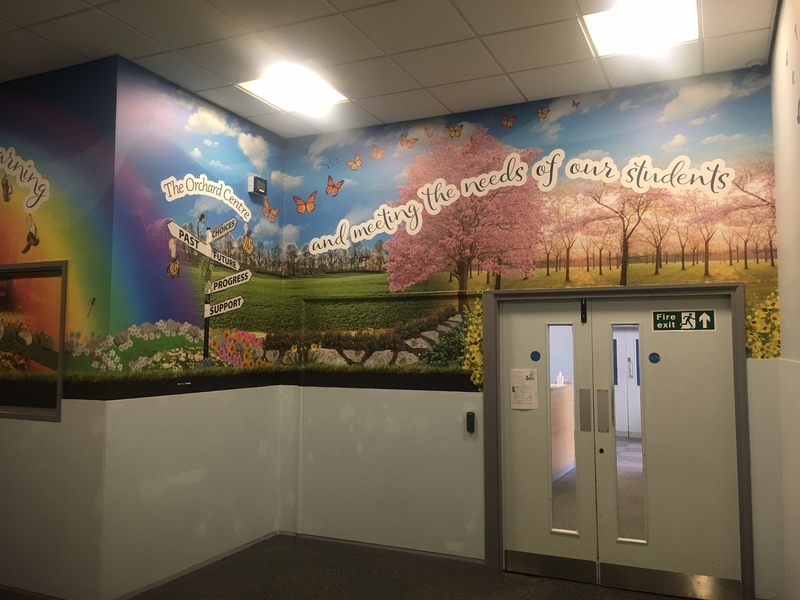 We used a photographic montage style, combining high-resolution images with graphics and statements. 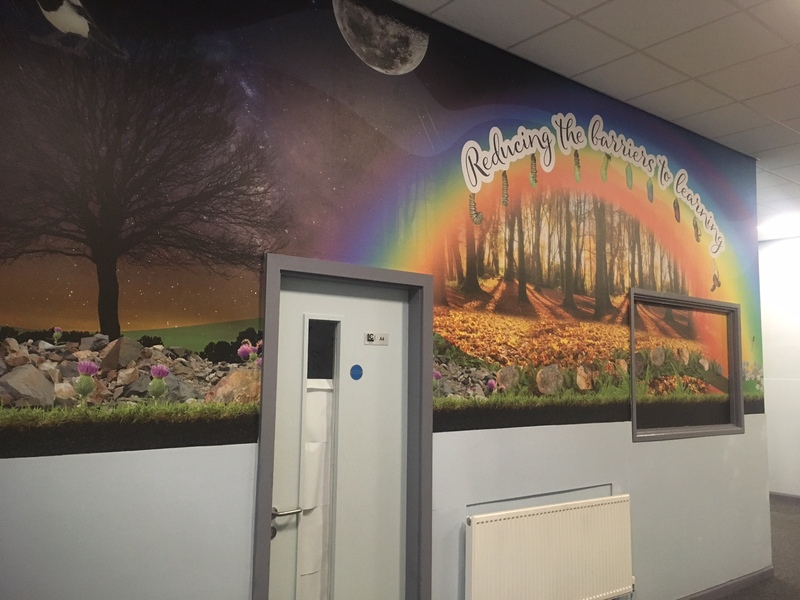 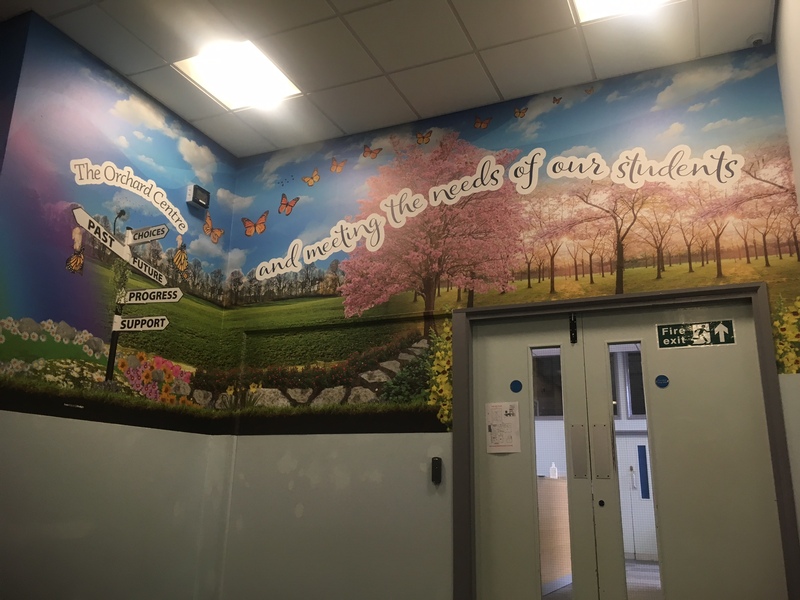 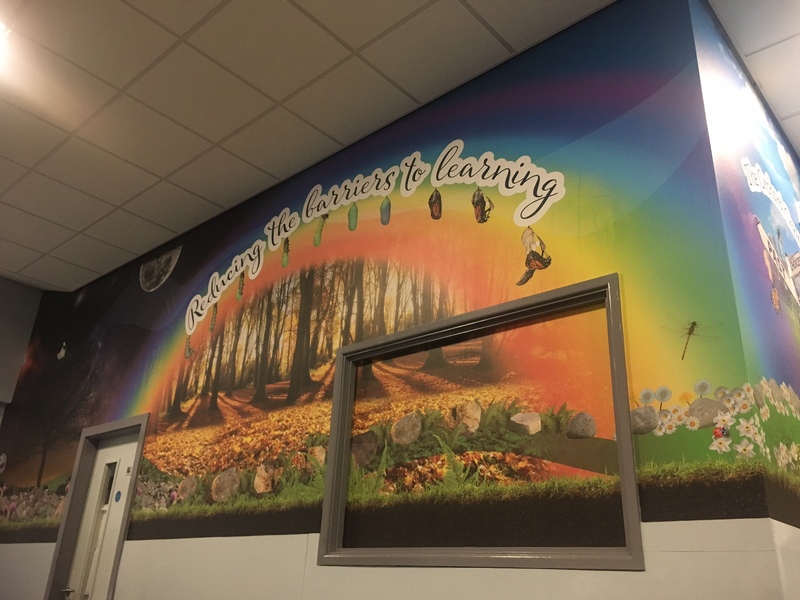 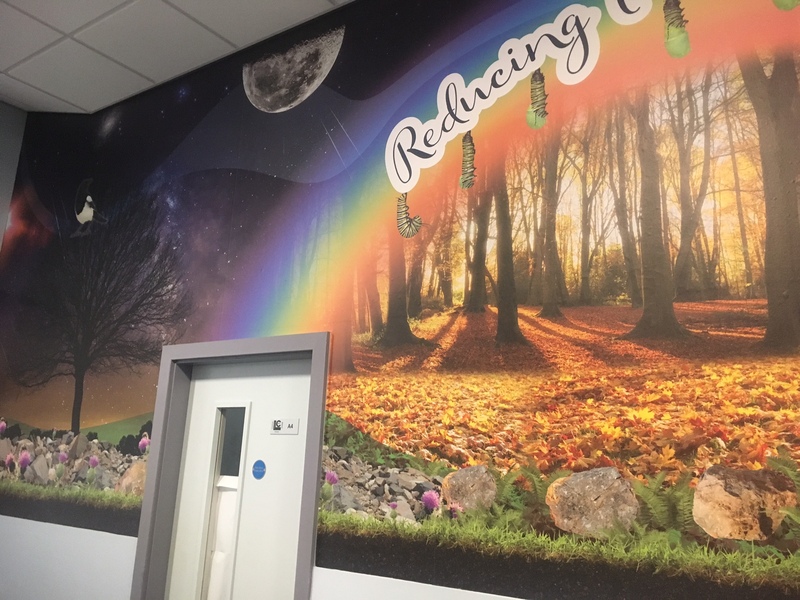 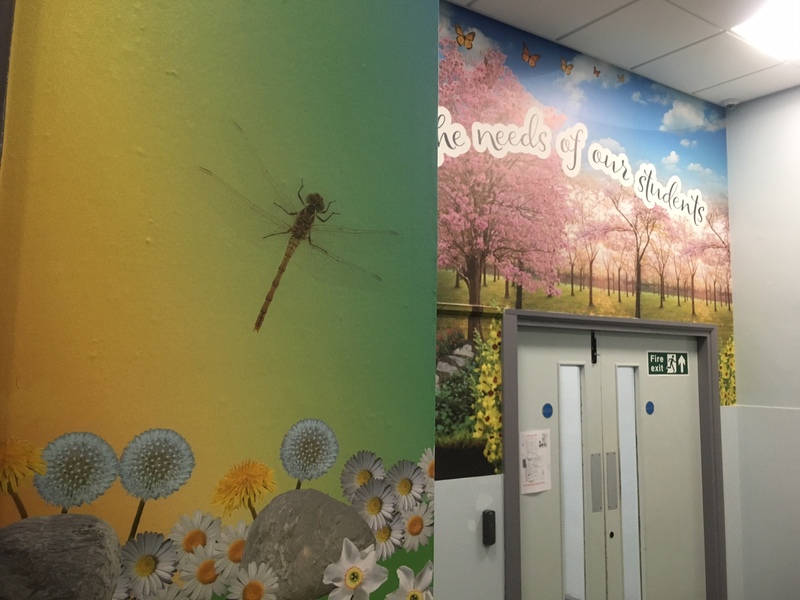 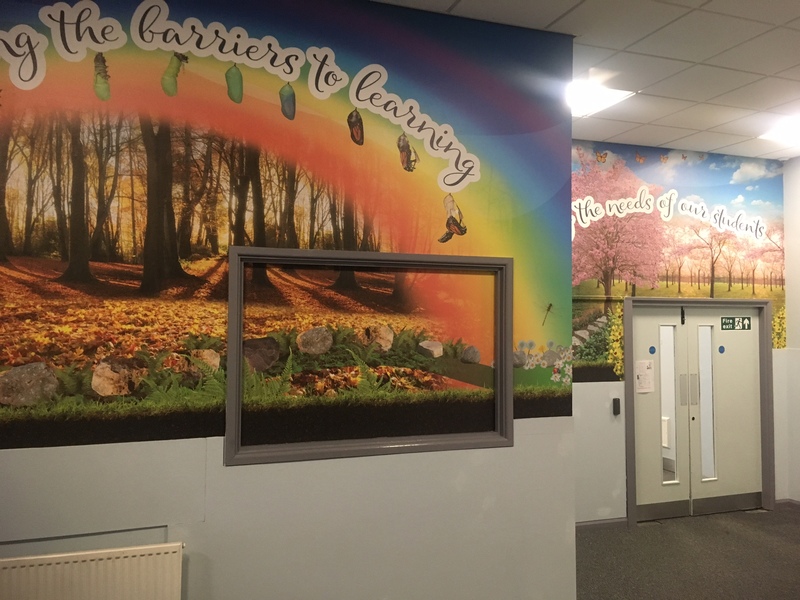 The end result: The creation of a permanent montage using the latest hard wearing self adhesive wallpaper, which depicts the ethos of the school and its commitment to it’s pupils by reducing the barriers to learning.